I made a bunch of New Year’s resolutions. Some were standard (eat better! spend less! be kinder!) and others were a little different–specific to my life and my needs. A month and a few days into 2015, those are the ones I am most excited about. The first resolution is to stop reading internet comments. Embarrassingly, I can get reaaalll worked up about internet comments. Like, I will loose sleep if I read something particularly vile. True story, I once had a therapist tell me to stop reading the news and going on Facebook during a presidential election. But like a moth to a flame, I just. couldn’t. stop. So, in 2015 I thought I would do my mental health a favor and stop masochistically reading nasty stuff sure to upset me. Some blogs and news sites I was fond of, I stopped reading entirely. The comments tempted me too much, and I felt the sites invited extreme reactions. For some people, it can be entertaining. For me, not so much. There are other sites I still visit but just don’t scroll down to the comments, and other sites with generally positive and interesting (or at least civil) comments, so I let myself scan those from time to time. On February 2nd, I feel pretty good about my progress on this resolution. 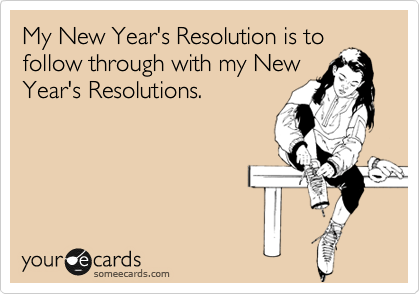 My second resolution is the one I am most excited about, and I didn’t think of it till halfway through January 1. On New Year’s Eve, M and I went to a concert with several of M’s friends from out of town. They had come in because another friend was in the band we were seeing. As fun as it is to see a friend up on stage, being out on New Year’s is not my fave. I’ve always been more of a house party kind of gal. On New Year’s Day, M and I invited all his visiting friends over and we had the laziest brunch that lasted all day. We made a huge platter with my favorites cheeses and honey, fruit, meats, jams, crusty bread, vegan butter…enough to satisfy the meat-eaters, vegetarians, and vegans in the crowd. We made bagels from scratch (! ), eggs, bacon, hash browns. A friend made delicious and spicy Bloody Mary mix and we sipped mimososas. We listened to music and flipped the tv between Back to the Future and The Twilight Zone. It set the bar high for 2015. 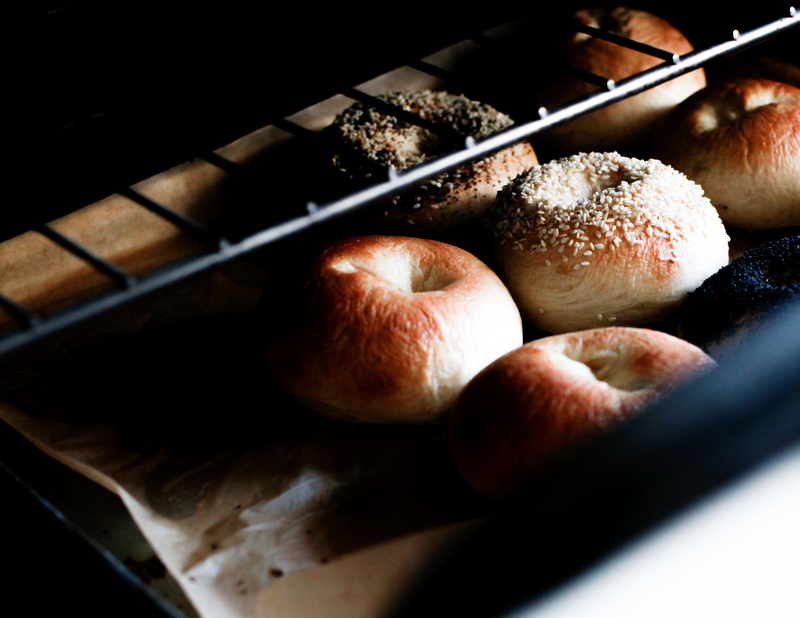 Bagels from The Sophisticated Gourmet…delicious and not even hard! So, I decided (and M agreed) that my biggest resolution would be to host a dinner or brunch party every month for 2015. Inspired by how much fun we’d had on New Year’s, as well as the popular Friday Night Meatballs article that went around a few months ago, I felt it would be a fun and rewarding challenge. We had a Super Bowl party last night and made mac and cheese from Host the Toast and vegan chili. Friends brought wings, a hummus platter, chips, and wine. A good time was had by all (esp. Pats fans) and I feel more excited about 10 more dinner parties in 2015. Minus the football.